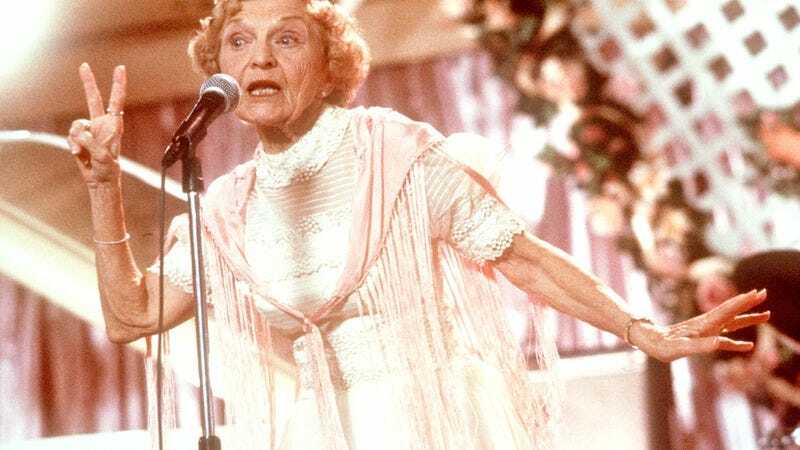 Ellen Albertini Dow, the lady who performed the Sugarhill Gang’s “Rapper’s Delight” in The Wedding Singer, has died. She was 101. Though Dow racked up over 100 film and TV credits in her career, she didn’t actually start acting in earnest until she was 71. Though she studied piano, acting, and dance as a young woman, she parlayed those skills into a career teaching acting alongside her husband until he died in 1983. Dow’s last appearance on screen was in 2013, when she acted alongside Zooey Deschanel on New Girl. She also made a notable appearance in 2005’s Wedding Crashers as a homophobic grandmother.